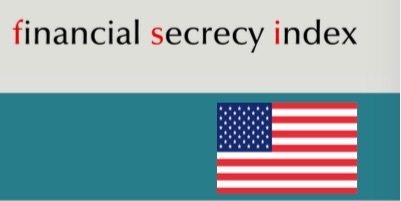 Bloomberg is running a story entitled The World’s Favorite New Tax Haven Is the United States, which closely follows the line that TJN has been taking, particularly since our big Loophole USA blog a year ago, and our subsequent USA Report for the Financial Secrecy Index last October. Even stiffer? Naaaah. FATCA contains a big stick – stiff withholding taxes on financial institutions that don’t play ball with the U.S. – whereas the OECD lacks this. This is why we have called for Europe – in the absence of the OECD’s leadership, to merely use that same tool that the U.S. is using. This crucial aspect didn’t get reflected in the story, though. “For financial advisers, the current state of play is simply a good business opportunity. In a draft of his San Francisco presentation, Rothschild’s Penney wrote that the U.S. “is effectively the biggest tax haven in the world.” The U.S., he added in language later excised from his prepared remarks, lacks “the resources to enforce foreign tax laws and has little appetite to do so. The U.S. failure to sign onto the OECD information-sharing standard is “proving to be a strong driver of growth for our business,” wrote Bolton’s chief executive officer, Ray Grenier, in a marketing e-mail to bankers. All the more reason for Europe to get a move on and to wield the big stick that the U.S. is wielding against it. And for the OECD to start changing course too. This state of affairs can’t last. And we predict that it won’t. Socialism is a beautiful idea, as the French would say: “liberty, equality and fraternity” it promotes power redistribution through taxation, to take everybody’s money and give to a few wise man, the government, who will redistribute all this wealth through goods and services, and will do equal parts to the everyone, the only merit required is citizenship. There it is, inequality resolved. The richer should pay more proportionally, say 50% of their income, and the poorer say 10%, that’s fair and simple, in fact this is so fair that everyone will want to participate, it won’t cause any resentment, it will promote technological innovation, economic prosperity, and industrial efficiency, basically it will make everybody wealthier and happier. These governments, to whom we entrust our hard earned money, are all good and trustworthy, they do not promote war, displace dictators in other countries and generate massive migrant crisis, where babies die at sea, and they don’t steal your money, kidnap your kids and blackmail you. They are very trustworthy, especially in South America, in Brazil, Colombia, Argentina, and Venezuela; there the government are very serious and have no association with criminal organizations, you can trust the governments there with your financial information and with your money, they will use it wisely, there is no need to put in Delaware, why would you do that, are you stupid? I think that tax havens, hiding money from governments all over the world, are a disgrace to society, we should all give all our money to governments, they will solve inequality, look the examples of Cuba and the USSR, what an example of prosperity, the end of poverty, the beginning of a new era! The idea that big government doesn’t work because people who spend their life in the pursue of governing others will look for their interests first is all a lie, governments are full of altruists, priest like men and women, who all they want is the pursue of happiness for all. The idea of small government, so small you can barely see, where taxation is minimum, and that economic prosperity for all is achieved through competitive efficiency, shareholder value, and educated work force is crazy, it will never work, lets just tax everybody, give it to Berney Sanders, he knows what to do with it, lets also arrest all the subversives who are against Socialism they are evil, government knows best!! Long live the tax justice network!! !